Guess it wasn't enough for Manchester's Oi Polloi to just be one of the best menswear shops in the world, they've also had to show up everyone in the graphic design world as well. 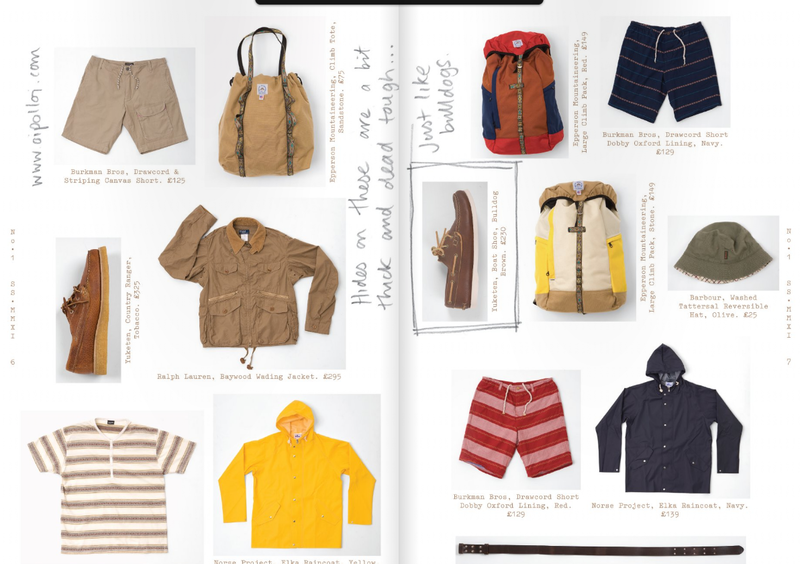 Last year's The Rig-Out was the first step, and now they've launched a new publication Pica-Post that mixes a catalogue of some of their best in-store items with a few articles of interest on surfboards and Buffalo Bill. Running throughout is the expert illustration of Ben Lamb, and some of the cleanest, most attractive design we've seen in a style publication in some time. They're only printing 1000, so start digging to get your hands on one.